The following text was authored by Emily Milanek. 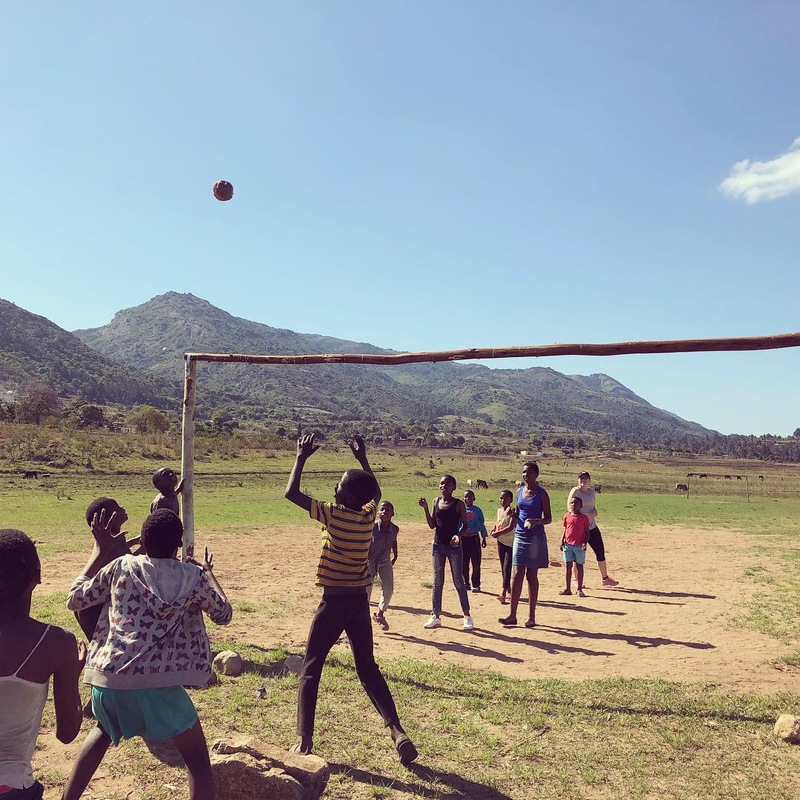 Emily is currently serving in the Peace Corps in Eswatini, formerly known is Swaziland. Emily observations about living sustainably is remarkably compelling and surely makes one think how much we take for granted something as basic and procuring and using water. The answer is: You can’t. Or at least I’m not graceful enough! Probably the biggest adjustment for me living in my hut is managing my water usage. Since there’s no indoor plumbing, I fetch my water from my host family’s pump, which comes directly from the mountain stream flowing through their property. I then do a combination of boiling, bleaching, and/or filtering before I use it for drinking, cooking or washing. This may sound like a lot of work for such a simple task, but it has become a more fluid (pun intended) process now that I’ve incorporated it into my daily routine. (Not to mention how acutely aware I am of every drop of water I use, of which I enjoy being more mindful!) Anyway, I won’t bore you with the mundane details... Let me tell you about all the times of laughing, crying and learning so far! My host family: The typical Swazi homestead consists of a plot of land with multiple huts where extended family and sometimes a man’s multiple wives and their children live together. Gogo (grandmother) is the head of my household and is one of three wives of her late husband. There are many children around and it took me some time to find out how everyone is related. Upon drawing a family tree, I found out that five of Gogo’s six children died as adults (from unidentified illnesses) leaving behind eight grandchildren ranging in age from 18 months to 30 years. Luckily for me, most of them speak English well (and appreciate when I try speaking SiSwati) and have made me feel incredibly welcome since day one! Gogo gave me the SiSwati name, Nonjabulo, meaning “happiness.” I’m closest with Nombuso, my “sisi,” who is 22 and stays at home to take care of the toddler. Thando is the youngest of the bunch and is everyone’s favorite. She and I are at about the same SiSwati speaking level and she loves to dance when we clap or sing her a little beat. Lately she has developed a habit of tip toeing in my hut while I’m cooking and likes to steal my potatoes. I think she will be a good cook, just like her Gogo! Gogo has hosted volunteers in previous years, but I am the first vegetarian she’s ever met, and also the most handy in the kitchen. “You don’t eat meat? Not even chicken?” I told her not to worry, having seen her beautiful vegetable garden with squash, spinach, beets, and beans growing. I fell into work alongside Nombuso in the dinner preparations, tending the wood stove and collecting eggs from their chickens that occasionally wander into the house. At dinner time, we keep it pretty casual and gather around the TV for South African soaps, or everyone’s favorite, women’s pro wrestling. Even Gogo. Outside of the homestead, I spend the majority of my time with the other volunteers in class with a language instructor or in group discussions. The discussions pertain to health, cultural practices, sustainable development, how we will address the challenges facing Eswatini youth, and the history of HIV/AIDS in the kingdom. 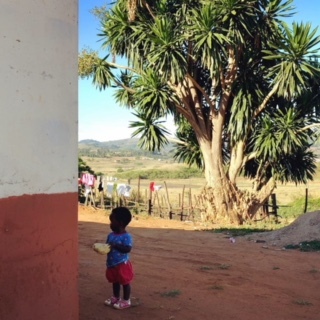 In short, Eswatini has made huge progress in working towards an AIDS-free generation. From the early 2000’s, when the percentage of people with the disease was as high as 56%, it has since dropped to 27% as an increasing number receive treatment, practice healthier habits, and women give birth to fewer babies born with HIV. Although it is still the highest percentage in sub-Saharan Africa, it is important to look at how far the country has come at making treatment more available and lessening the stigma around the illness and getting tested. It is our job now to target youth ages 15-24, who are the most vulnerable in making decisions about their health and well-being. Later in training, I will begin observing in schools where I’ll eventually teach life skills to teens preparing to enter the work force. Speaking of health, it wouldn’t be a proper update if I didn’t include my recent stay at the medical clinic. Last weekend I came down with a gnarly stomach virus that included a fever of 104, being sick at “both ends,” dizzying abdominal cramps, which left me severely dehydrated. I had no choice but to have the Peace Corps medical staff admit me to the clinic in the capital, where I rested and rehydrated via IV drip. Least to say it was the most ill I’ve ever felt and I’m forever grateful for the nurses that took care of me! I take the sanitation of my drinking water and making sure I can prepare my food properly very seriously; also hoping my immune system is stronger now. In other news, I sadly attended my first Swazi funeral today. A fellow volunteer’s host mother passed away this week and the entire village gathered to mourn the loss. It was an incredibly humbling experience as we entered the home singing SiSwati hymns, to join the woman’s family circled inside. Even though I couldn’t understand what was being said, I was moved to tears by the singing and intense emotion of sharing the room with so many bereaved friends and family. I later found out that the mourning ceremony would continue through the night with hymn singing until sunrise, when the burial would take place. On a more positive note, one of the cultural things that struck me the most is the way Swazi people greet each other. You must greet everyone you pass, as a sign of politeness and whether you know the person or not. People refer to each other as brother and sister, and it’s refreshing to practice being so present with one another. Knowing how to respectfully address someone, according to their status or hierarchy within the community, is essential to having a good reputation and building positive relations with important community figures.